Palm Harbor, Florida Family Law Attorney | Divorce Attorney | Wendi L. Hall-Gonzales P.A. Family law and divorce matters can be devastating and can cause significant levels of stress, both emotionally and financially. 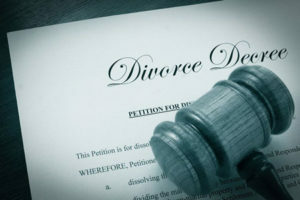 As an experienced family law and divorce attorney, practicing in all areas of divorce and family law for over 25 years, Wendi L. Hall-Gonzales provides very personal service with understanding and compassion, returning most clients’ phone calls within hours and making herself accessible to her clients on a daily basis, as needed. Ms. Hall-Gonzales understands that during these difficult times some things just can’t wait and you need to talk to your attorney right away. It is very important to Ms. Hall-Gonzales to maintain excellent communication with all clients to ensure that their needs and concerns are met with immediate attention. Choosing the right attorney for your situation can be a difficult process. Attorney Wendi L. Hall-Gonzales combines her legal expertise with understanding and compassion to help clients feel secure and make good personal and business decisions through the entire legal process.